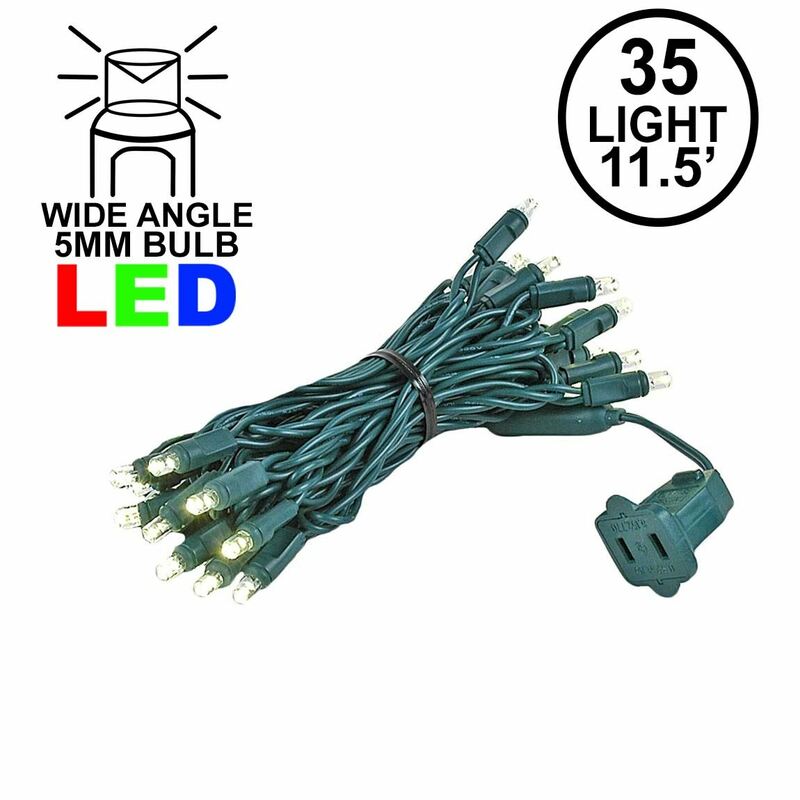 35 LED Mini Christmas Lights with a Wide Angle 5mm Concave bulbs on both green and white wire. 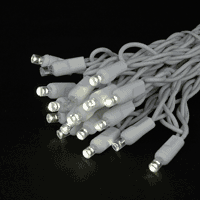 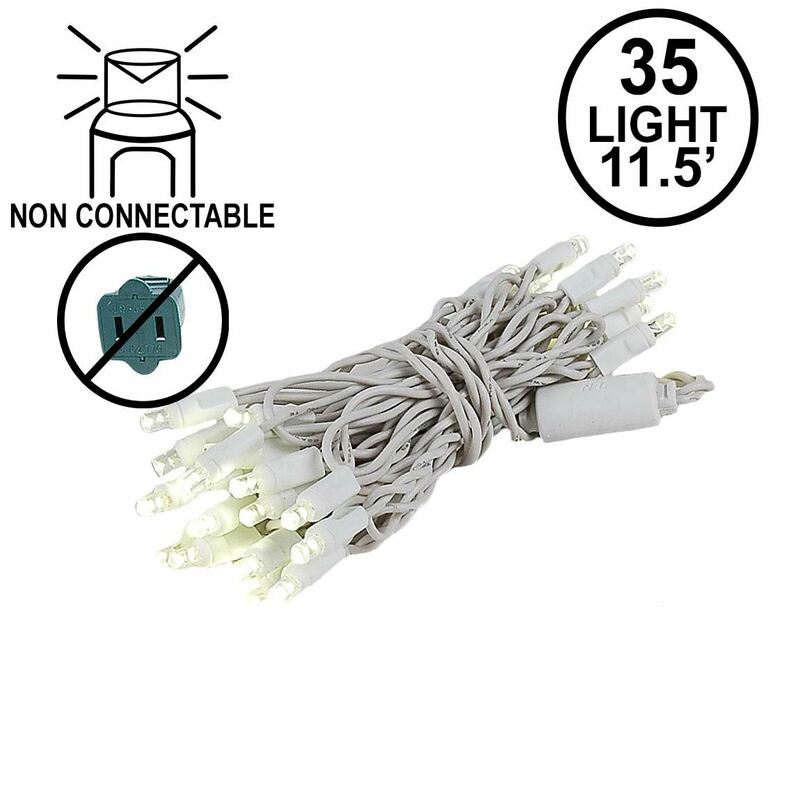 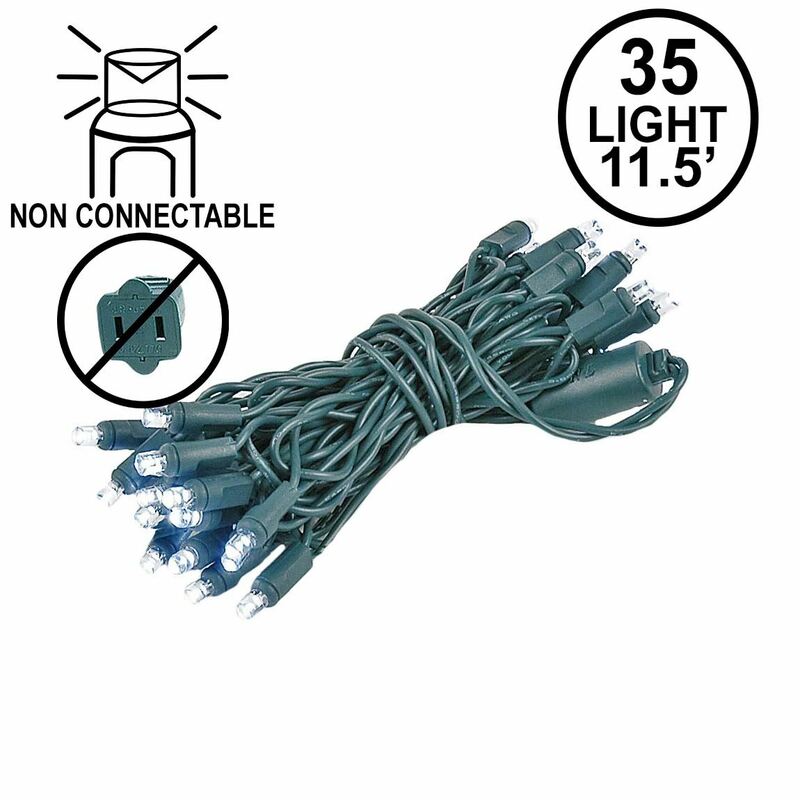 Each 35 Light sets are available with a connectable or non-connectable (without end-to end plug) with warm white and pure white led bulbs. 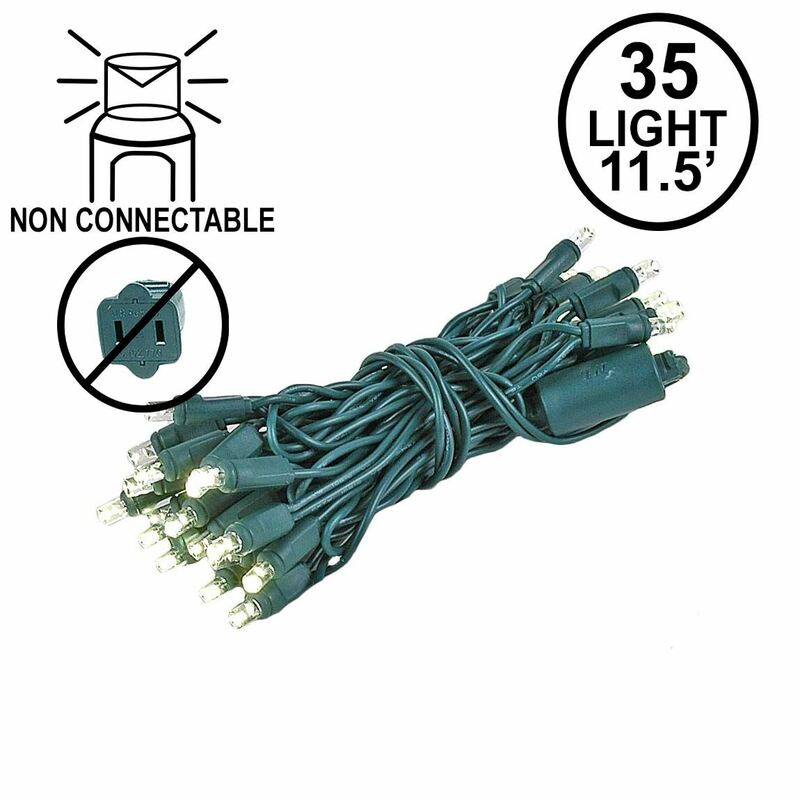 Great for craft projects or applications requiring shorter strings of LED lights. 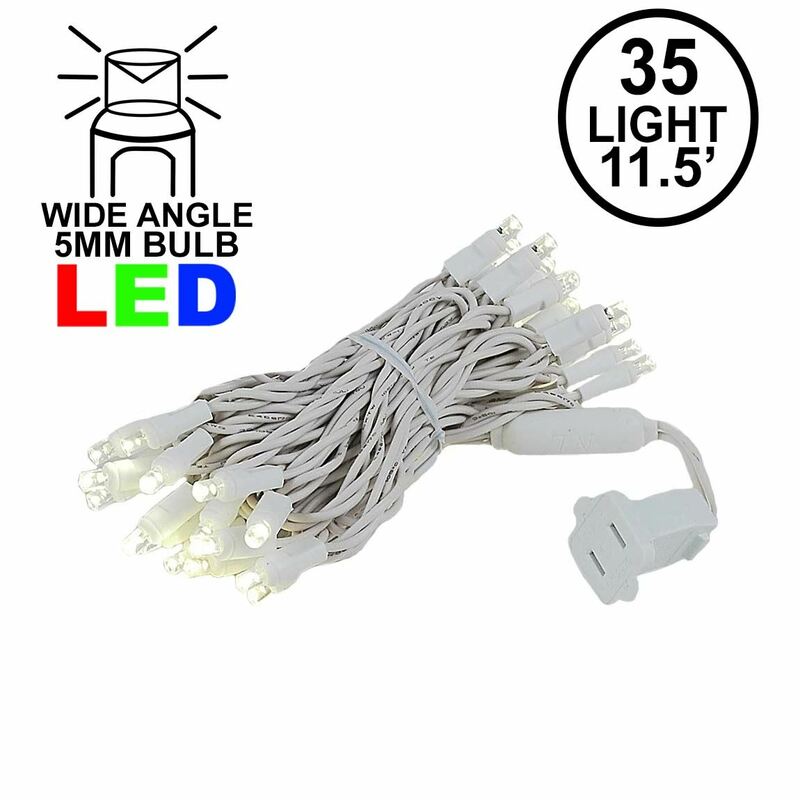 These 35 light indoor/outdoor mini LED lights are UL listed and Energy Star Qualified.